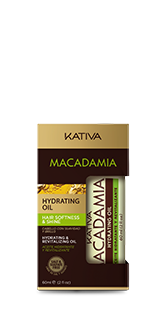 By registering you accept the terms and conditions and privacy policies of Kativa. Your data has been registered and we have sent you a confirmation email. The messages of our users are very important to us, we'll write you back soon. Please check if all fields are filled. 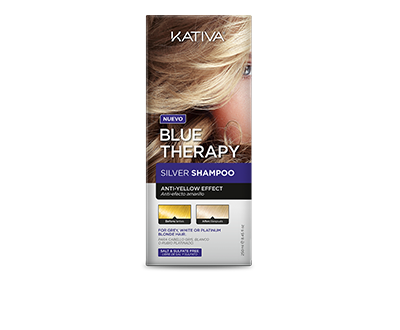 Kativa Blue Therapy Silver has a last generation formula, made with correcting pigments: violet and blue ones, which neutralize unwanted yellowish and slightly orange tones in hair. 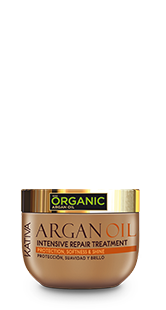 Its micro particles penetrate hair fibers through cuticles, deeply cleaning hair and scalp, moisturizing it, restoring it and providing it with natural movement. 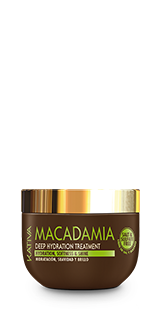 Recommended for hair with yellowish gray hair and very golden blonde hair. 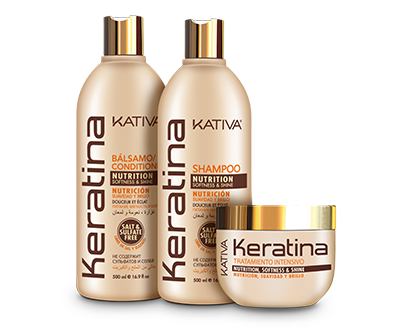 Its formula is based on chromo-complementarity; thus micro agents of tones opposite to hair tones are used to neutralize its color. 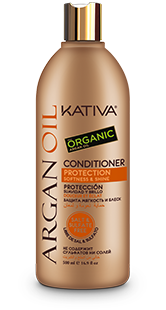 To prevent yellowish and slightly orange hair tones we use violet and blue pigments, which restore and enhance natural hair color that keeps its intensity over time. 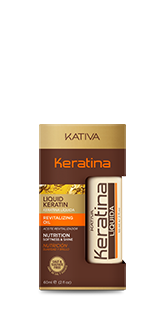 Neutralizes yellowish – orange and rusty hair tones. Softens fiber, and leaves it shiny. 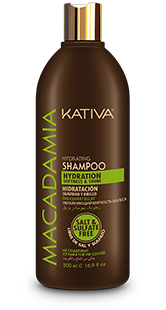 Free of salt, sulfates, parabens and gluten. 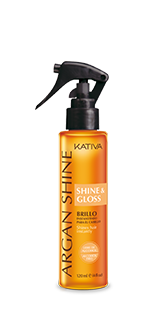 Apply Kativa Blue Therapy: Silver Shampoo on wet hair, spread and leave on for 2 to 4 minutes. Rinse with abundant water. It may be used both by women and men. 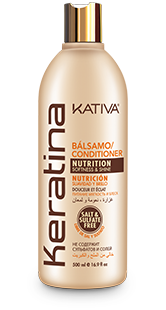 Why is it important that KATIVA BLUE THERAPY line is free of salt? 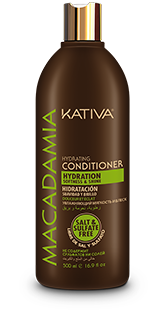 Salt (sodium chloride) does not provide any benefit to hair; on the contrary, it produces frizz, puffiness and deteriorates straightening, dyeing, perm, and other treatments. 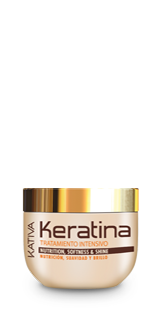 Furthermore, this type of salt removes keratin, which is responsible for moisturizing and strengthening hair. 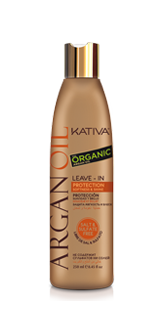 What are sulfates and which are their effects on hair? 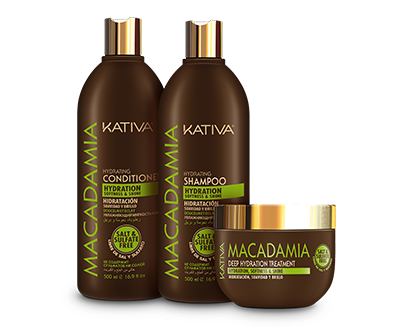 Sulfates are ingredients added to the conventional shampoo formula, and other hair products, which act as detergents producing foam to “clean” hair. 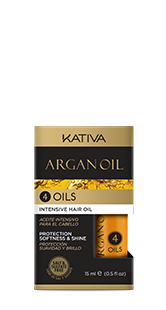 Far from damaging or affecting its appearance, they totally remove hair’s natural oil, resulting in irritation, dryness and striping keratin from hair; and besides they produce loss of color in dyed hair. 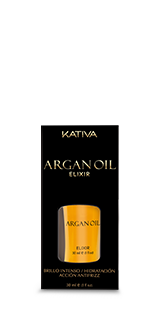 Therefore, they make hair fiber more sensitive, thus increasing hair care needs. A group of chemical products used as preservatives to extend shampoo’s shelf life; most parabens used are artificial and oil by-products. 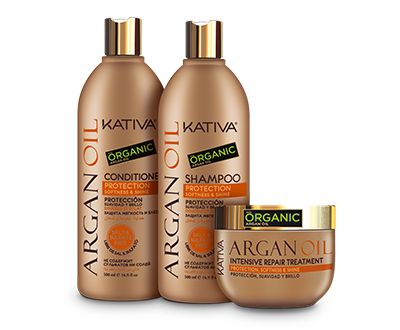 Not only parabens irritate skin, but they also affect the scalp and may cause hair loss. What is gluten and which are its effects? Gluten is a protein that is found in food products, such as barley, wheat, rye, etc. 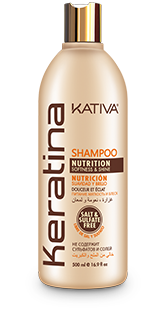 Gluten is not only found in food, but also in personal care products, such as conventional shampoo and conditioner, which affects people who suffer gluten intolerance; i.e. celiacs. 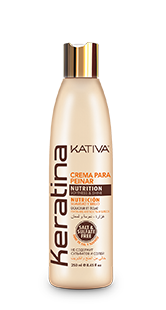 In Kativa, people’s wellbeing is our concern and we do not use gluten in our products to prevent this situation. Hello, can I use Blue therapy silver shampoo with another conditioner?